Coral Princess Inn is an elegant 25-room boutique hotel offering the business traveler and families an excellently priced alternative in a cozy and comfortable atmosphere. Managed by its owners, you will receive personalized quality service that will surely make you feel at home. Located a two-minute walk from famous Conado Beach, Coral Princess Inn is a block from boutique shops, over 15 restaurants, coffee shops, and casinos. 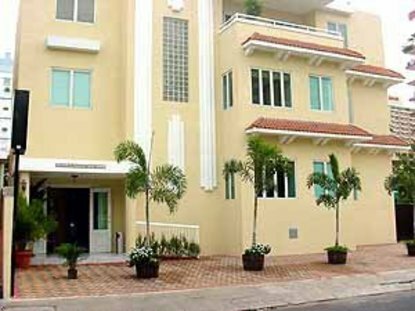 It is centrally located just 5 minutes from Old San Juan, 10 minutes from Hato Rey buisness district, and 10 minutes from the international airport and Isla Verde. Enjoy your free continental breakfast at the lounge or outdoor patio, stroll down Ashford Avenue, or swim and sunbathe at our pool or nearby Condado Beach. We'll make you feel at home You will sure want to come back. Complimentary high speed internet access in room.